Welcome to Devono's Dry Cleaners, Inc.
Now offering FREE pick up and delivery service right to your home or office. DeVono’s Dry Cleaning & Shirt Laundry are drycleaners with locations in Manchester PA, Dallastown PA, York PA, Shrewsbury PA and Red Lion PA. Established in 1947, DeVono’s always takes pride in your appearance. Trust us with your best clothes and we will insure that every garment is cleaned properly, inspected for stains and beautifully pressed to your satisfaction. Minor repairs and missing buttons are replaced at no additional charge. Consider us your clothing care specialist. Our state-of-the -art equipment and environmentally sound practices and procedures are integrated with our “We Care” environmentally conscious program. And we recycle hangers. 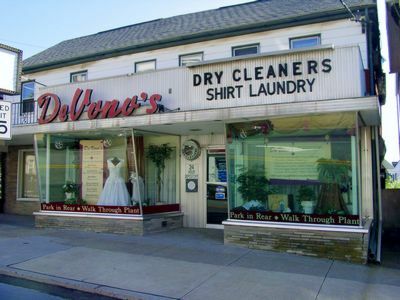 DeVono’s Dry Cleaning and Shirt Laundry is looking forward to becoming your professional dry cleaner.